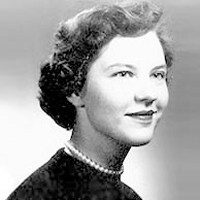 Moylan, Bonnie (Ferguson) Age 82, passed away peacefully on October 6, 2018. Bonnie grew up in Iowa and was a proud ISU graduate. She was loving and generous, loved all of the fine arts, and was a creative, talented and accomplished interior designer for 40 years. Preceded in death by her parents, and son, Jon G. Moylan. Will be missed by: daughters, Julie Moylan, Wendy Moylan, Valerie (Mike) Moylan-Boreen; grand-children, Jennifer (Neal) Gustafson, Rebecca (Don) Neve, Alexandra Vagac, Samuel Vagac; great-grand-children Peyton and Paisley; siblings DiAnn (Bruce) Lawson, Connie (Dan) Messerschmidt, Steve (Kristin) Ferguson, as well as cherished nieces and nephews and many friends. Celebration of life to occur in spring. Service Saturday, October 13, 2018 at 1:30 pm at Augustana Care Center Chapel, 1007 E 14th St, Minneapolis.